The air traffic controller couldn’t decipher the ominous message as he struggled to contact the plane on September 11. And officials were in the dark even while flight attendants called colleagues on the ground to describe the terror unfolding in the sky. A salty breeze from Boston Harbor greeted Michael Woodward when he exited the train at Airport Station on September 11, 2001, but that was the last he expected to see of the outdoors until the end of a long day. At 6:45 a.m., dressed in a gray suit and a burgundy tie, he walked to his office in the bowels of Logan Airport’s Terminal B, one level below the passenger gates. More than 6 feet tall and 200-plus pounds, Michael had a gentle face and a razor wit. Thirty years old, bright and ambitious, he’d risen from ticket agent to flight service manager for American Airlines, a job in which he ensured that planes were properly catered and serviced, and equipped with a full complement of flight attendants. Michael remained friends with many of the more than 200 flight attendants he supervised. Outside his office, flight attendants milled around a no-frills lounge where airline employees grabbed coffee and signed in by computer before flights. Michael brightened when he saw Betty Ong, a 14-year veteran of American Airlines whose friends called her Bee, sitting at a desk in the lounge, enjoying a few minutes of quiet before work. Tall and willowy, 45 years old, with shoulder-length black hair, Betty had grown up the youngest of four children in San Francisco’s Chinatown, where her parents ran a deli. She loved Chinese opera, carousel horses, Nat King Cole music, and collecting Beanie Babies. Betty walked with a lively hop in her step and had a high-pitched laugh that brought joy to her friends. Michael scanned the room and saw Kathleen “Kathy” Nicosia, a green-eyed, no-nonsense senior flight attendant whom he’d taken to dinner recently in San Francisco. Kathy had spent 32 of her 54 years working the skies, and she’d developed a healthy skepticism about managers, a skepticism that somehow didn’t include Michael. He walked over and she gave him a hug. A whiff of her perfume lingered after Kathy and Betty headed upstairs to the passenger gates. Meanwhile, inside the 767, flight attendant Madeline “Amy” Sweeney was upset. Blond and blue-eyed, Amy, 35, had recently returned to work after spending the summer at home with her two young children. This would be the first day she wouldn’t be on hand to guide her 5-year-old daughter Anna onto the bus to kindergarten. Amy used her cellphone to call her husband, Mike, who comforted her by saying she’d have plenty of days to see their kids off to school. Amy Sweeney, Betty Ong, and Kathy Nicosia were three of the nine flight attendants, eight women and one man, who’d be working with Captain John Ogonowski and First Officer Thomas McGuinness Jr. They were the 11 crew members of American Airlines Flight 11, a daily nonstop flight to Los Angeles with a scheduled 7:45 a.m. departure. Flight 11 had a capacity of 158 passengers, but as the crew prepared for takeoff, only 81 seats were filled: 9 passengers in first class, 19 in business class, and 53 in coach. Shortly before takeoff, Michael walked aboard for a final check. In first class he found Karen Martin, the No. 1, or head, flight attendant, who was known for running an especially tight ship. Tall and blond, 40 years old and fiercely competitive, Karen was described by friends as “Type A-plus.” Nearby stood 38-year-old Barbara “Bobbi” Arestegui, the No. 5 attendant, petite and patient, known for her ability to calm even the most difficult passenger. Michael asked if they were ready to go. “Yep, everything’s fine,” Karen said. Before he left, Michael scanned down the aisle, almost out of habit, to see if the attendants had closed all the overhead bins. As he looked through the business section, Michael locked eyes with the passenger in seat 8D. A chill passed through him, a queasy gut feeling he couldn’t place and couldn’t shake. Something about Mohamed Atta’s brooding look seemed wrong. But the flight was already behind schedule, and Michael wouldn’t challenge a passenger simply for glaring at him. He turned and stepped off Flight 11, and a gate agent closed the door behind him. 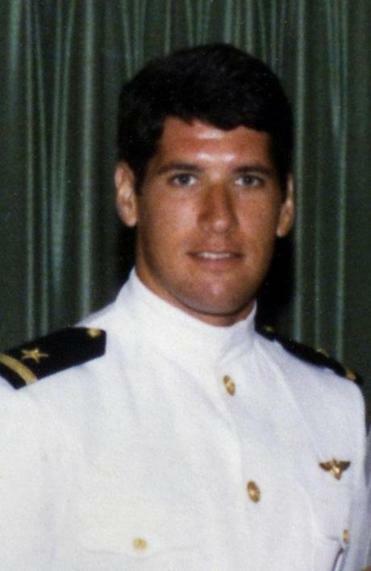 American Airlines First Officer Thomas McGuinness Jr. Inside their locked cockpit, Ogonowski and McGuinness taxied the silver jet away from the terminal. Moments after takeoff, the pilots made a U-turn over Boston Harbor and pointed the plane west, flying through clear skies several miles above the wide asphalt ribbon of the Massachusetts Turnpike, headed toward the New York border. During the first 14 minutes of Flight 11, Ogonowski and McGuinness followed instructions from an FAA air traffic controller on the ground and eased the 767 up to 26,000 feet, just under its initial cruising altitude of 29,000 feet. They spoke 19 times with air traffic control during the first minutes of the flight, all brief, routine exchanges, automatically recorded on the ground, mostly polite hellos and instructions about headings and altitude. Fifteen minutes into the flight, shortly before 8:14 a.m., the pilots verbally confirmed a radioed request from an air traffic controller named Peter Zalewski to make a 20-degree right turn. The plane turned. Sixteen seconds later, Zalewski instructed Flight 11 to climb to a cruising altitude of 35,000 feet. The plane climbed, but only to 29,000 feet. No one in the cockpit replied to Zalewski’s order. Ten seconds passed. Zalewski tried again. Soft-spoken, 43 years old, after 19 years with the FAA Zalewski had grown accustomed to the relentless pressure of air traffic control. He spent his days in a darkened, windowless room at an FAA facility in Nashua, New Hampshire, referred to as Boston Center, one of 22 regional air traffic control centers nationwide. A simplified way to describe the job done by Zalewski and the 260 other controllers at Boston Center would be to call it flight separation, or doing everything necessary to keep airplanes a safe distance from one another. Zalewski’s assignment called for him to keep watch on his radar screen, or “scope,” for planes flying above 20,000 feet in a defined area west of Boston. When Zalewski received no reply from the pilots of Flight 11, he wondered if Ogonowski and McGuinness weren’t paying attention, or perhaps had a problem with the radio frequency. But he didn’t have much time to let the problem sort itself out. He began to grow concerned that, at its current altitude and position, Flight 11 might be on a collision course with planes flying inbound toward Logan. Zalewski checked his equipment, tried the radio frequency Flight 11 used when it first took off, then used an emergency frequency to hail the plane. Still, he heard nothing in response. “He’s NORDO,” Zalewski told a colleague, using controller lingo for “no radio.” That could mean trouble, but this sort of thing happened often enough that it didn’t immediately merit emergency action. 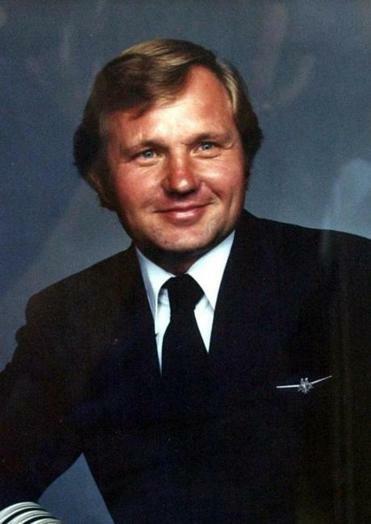 As one of Zalewski’s colleagues tracked Flight 11 on radar, moving other planes out of the way, Zalewski tried repeatedly to reach the Flight 11 pilots. Fifteen seconds later, he called out the same message. Four more tries in the next two minutes. Nothing. At one second before 8:18 a.m., flight controllers at Boston Center heard a brief, unknown sound on the radio frequency used by Flight 11 and other nearby flights. They didn’t know where it came from, and they couldn’t be certain, but it sounded like a scream. Watching on radar, Zalewski saw Flight 11 turn abruptly to the northwest, deviating from its assigned route, heading toward Albany, New York. Again, Boston Center controllers moved away planes in its path, all the way from the ground up to 35,000 feet, just in case. This was strange and troubling, but sometimes technology failed, and still neither Zalewski nor anyone else at Boston Center considered it a reason to declare an emergency. Then, at 8:21 a.m., 22 minutes after takeoff, someone in the cockpit switched off Flight 11’s transponder. Transponders were required for all planes that fly above 10,000 feet, and it would be hard to imagine any reason a pilot on Flight 11 would purposely turn it off. Without a working transponder, controllers could still see Flight 11 as a dot on their primary radar scopes, but they could only guess at its speed and altitude. When American Flight 11 took off, flight attendant Betty “Bee” Ong sat buckled into a jump seat in the tail section, on the left side of the plane, ready to begin her onboard routine. From that vantage point, she had a direct view up an aisle through coach and business into first class. At 8:19 a.m., six minutes after the pilots stopped responding to Zalewski’s calls, Betty grabbed a telephone called an Airfone. Airfones were common on cross-country flights in 2001, for use by passengers with credit cards, on the back of every middle seat in coach. Betty dialed a toll-free reservations number for American Airlines, a number she often used to help passengers make connecting flights. The call went through to the airline’s Southeastern Reservations Office in central North Carolina, where a reservations agent named Vanessa Minter answered. “I think we’re being hijacked,” Betty said, her voice calm but fearful. Minter asked Betty to hold. She searched for an emergency button on her phone but couldn’t find one. Instead, she speed-dialed the American Airlines international resolution desk on the other side of her office and told agent Winston Sadler what Betty had said. Sadler jumped onto the call and pressed an emergency button on his phone. That allowed the airline’s call system to record about four minutes of what would be a more than 25-minute call from Betty that would provide crucial information about what had occurred and who was responsible. Betty stammered at times as she did her best to describe a bloody, chaotic scene. Betty repeated herself several more times in response to the questions of reservation office employees. Gonzalez asked if Betty had heard any announcements from the cockpit, and Betty said there had been none. 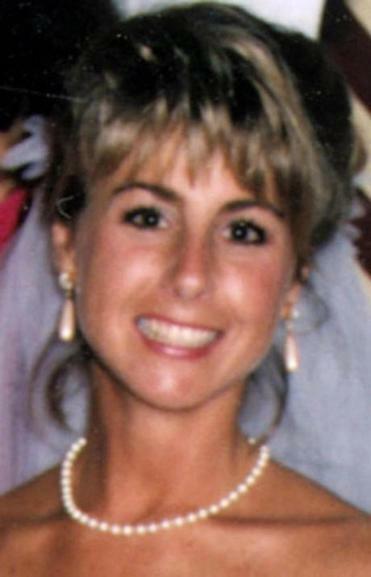 Two minutes into Betty’s call, at 8:21 a.m., Gonzalez called Craig Marquis, the manager on duty at American Airlines’ operations control headquarters in Fort Worth, Texas, to report an emergency aboard Flight 11, with stabbings and an unresponsive cockpit. The tape ended, but the call continued for more than 20 minutes as Gonzalez and Minter took notes and relayed information from Betty to Marquis at the airline’s control headquarters in Fort Worth. Throughout, Gonzalez reassured Betty, urging her to stay calm and telling her she was doing a wonderful job. 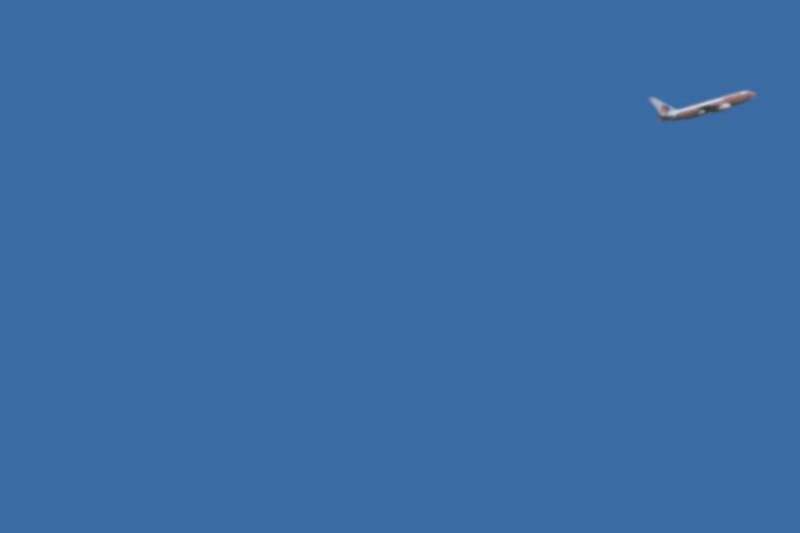 Several times Betty reported that the plane was flying erratically, almost turning sideways. Even as his anxiety rose about American Flight 11, Boston Center air traffic controller Peter Zalewski knew nothing about Betty Ong’s anguished, ongoing call. No one from American Airlines’ Fort Worth operations control headquarters relayed information to the FAA’s command center in Herndon, Virginia, to FAA headquarters in Washington, or to anyone else. As minutes passed and commandeered Flight 11 flew west across Massachusetts and over New York, communications among the airline, the FAA, and US military officials were sporadic at best, incomplete or nonexistent at worst. 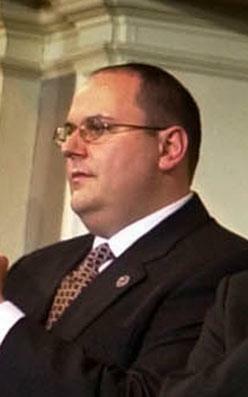 For 11 minutes, an unusually long time, Zalewski had no contact with Flight 11. Then, at 8:24 a.m., five minutes after the start of Betty Ong’s call to American Airlines’ reservations center, Zalewski heard three strange clicks on the radio frequency assigned to Flight 11 and numerous other flights in his sector. “Is that American 11, trying to call?” Zalewski asked. Then Zalewski heard an unknown male voice with a vaguely Middle Eastern accent. The unknown man’s radio message wasn’t clear, and Zalewski didn’t comprehend it. The comment sounded like a message from the cockpit intended to pacify Flight 11’s passengers and crew, none of whom heard it. The person in the pilot’s seat — almost certainly Mohamed Atta — keyed the mic in a way that transmitted the message to air traffic control on the ground, as well as to other planes using the same radio frequency, and not to passengers and crew in the cabin behind him. 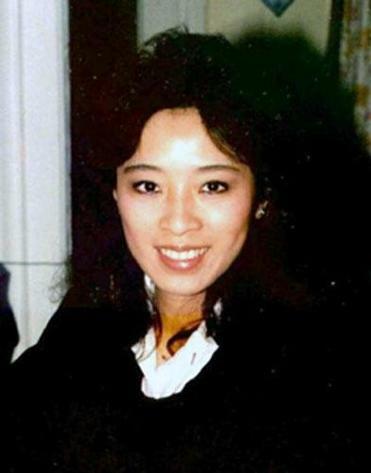 As Flight 11 flew erratically through the sky, flight attendant Amy Sweeney sat in a rear jump seat next to Betty Ong and called the American Airlines flight services office in Boston with horrific news. Michael took over the call. “Amy, sweetie, what’s going on?” he asked. In a tightly controlled voice, Amy answered: “Listen to me very, very carefully.” Michael grabbed a pad of paper to take notes. After the last routine contact between pilots John Ogonowski and Tom McGuinness and Boston Center’s Peter Zalewski at 8:13 a.m., Atta and his men pounced. Based on the timing, about 15 minutes into the flight, they might have used a predetermined signal: when the pilots turned off the fasten seat belt signs. One or more of the hijackers sprayed Mace or pepper spray to create confusion and force passengers and flight attendants away from the cockpit door. Using weapons smuggled aboard, they stabbed or slashed first-class flight attendants Karen Martin and Bobbi Arestegui. All nine flight attendants had keys to the cockpit, but it’s not clear how the hijackers gained entry — Atta and his crew might have attacked Karen and Bobbi to steal their keys, or the hijackers might have gotten into the cockpit another way. In fact, the cockpit doors were relatively flimsy and weren’t strong enough to prevent forced entry. Another possibility was that the hijackers stabbed the first-class flight attendants to induce the pilots to open the cockpit door. Or maybe it was even simpler: In September 2001, one key opened the cockpit doors of all Boeing planes. Maybe the hijackers brought a key with them. Amy told Michael Woodward the three hijackers in business class were Middle Eastern and gave him their seat numbers, key pieces of evidence to identify the terrorists. Betty identified the seat numbers of the two hijackers in first class. Amy told Michael she saw one of the hijackers with a device with red and yellow wires that appeared to be a bomb. He wrote “#cockpit bomb” on his notepad. Betty didn’t mention a bomb, and no one knew if whatever Amy saw was real or a decoy. On their separate calls, the two flight attendants said they didn’t know whether coach passengers fully understood the peril. Amy told Michael that she believed the coach passengers thought the problem was a routine medical emergency in the front section of the plane. Controllers at Boston Center fell silent. Then they decided to do something: FAA air traffic control managers called in the military. At the very least, the military might have better luck tracking the hijacked plane; some Boston Center controllers knew that the military had radar that could reveal a plane’s altitude even with its transponder turned off. Betty and Amy relayed all the information they could, as quickly and completely as they could, for as long as they could. At 8:43 a.m., roughly a half-hour after the hijacking began, Flight 11 changed course again, to the south-southwest. The move put the Boeing 767, still heavy with fuel, on a direct course for Lower Manhattan, the heart of America’s financial community. Around the same time, Amy told Michael: “Something is wrong. We’re in a rapid descent . . . . We are all over the place.” Another American Airlines employee at Logan who overheard the call said she heard Amy scream. Mitchell Zuckoff is a professor of journalism at Boston University and a former Boston Globe reporter. This story was excerpted from Fall and Rise: The Story of 9/11, by Mitchell Zuckoff. Copyright © 2019 by Mitchell Zuckoff. Reprinted by permission of Harper, an imprint of HarperCollins Publishers. Send comments to magazine@globe.com.